For any kid who feels bored in math class, Elon Musk sympathizes with you. 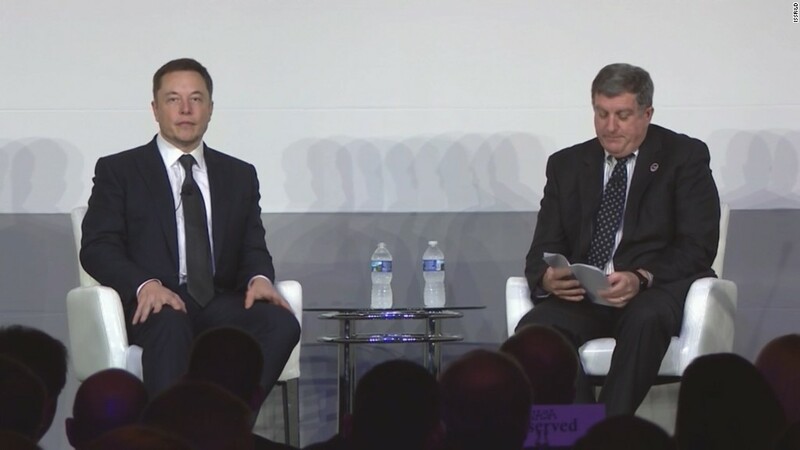 Speaking at the ISSR&D Conference in Washington D.C. Wednesday, the CEO of SpaceX and Tesla (TSLA) was asked about the education system. Musk explained that he believes schools aren't doing enough to help children grasp why they're learning each subject. "If you had a class on wrenches, ugh, why?" Musk said. "Trying to solve a problem is very powerful for establishing relevance, and getting kids excited about what they're working on and having the knowledge stick." Musk has shown a knack for learning throughout his career. After building a fortune with two Internet businesses, including PayPal, Musk turned his attention to electric cars and rockets. Despite little experience in rockets, he's built SpaceX into a company that's shaken up the industry with its reusable, low-cost rockets. His goal of getting to Mars, and making humanity a multi-planetary species, drove him to become an expert in rockets. Musk's 2015 biography memorably described how Musk quickly embraced the field after PayPal was sold to eBay (EBAY). "We're all hanging out in this cabana at the Hard Rock Cafe, and Elon is there reading some obscure Soviet rocket manual that was all moldy and looked like it had been bought on eBay," Kevin Hartz, an early PayPal investor, recalled in the book. When Musk entered the industry, all rockets were disposable and only flown once. But this March, SpaceX launched a used rocket to space, a historic first. Now Musk is hoping that by next year, its Falcon 9 booster will be re-flying even faster -- within 24 hours. "We think we have at least a technical path to achieving that," Musk said. "The key to that is that all you do is inspections."